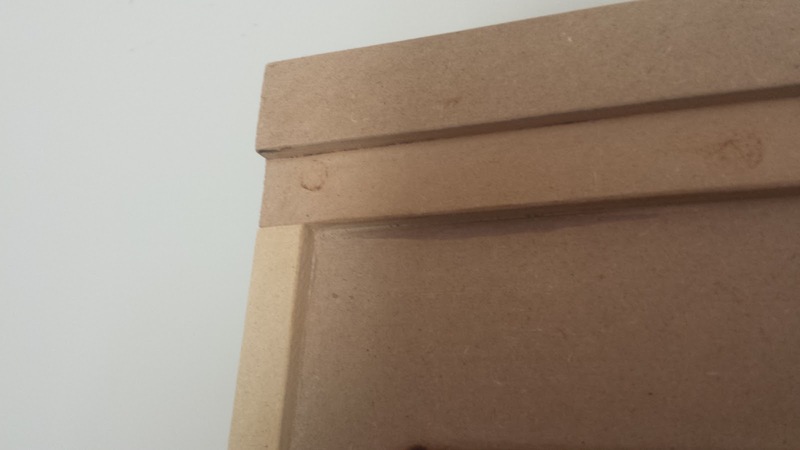 The screen area is made primarily of 1/2" MDF, with several trim pieces to keep a glass panel in place. 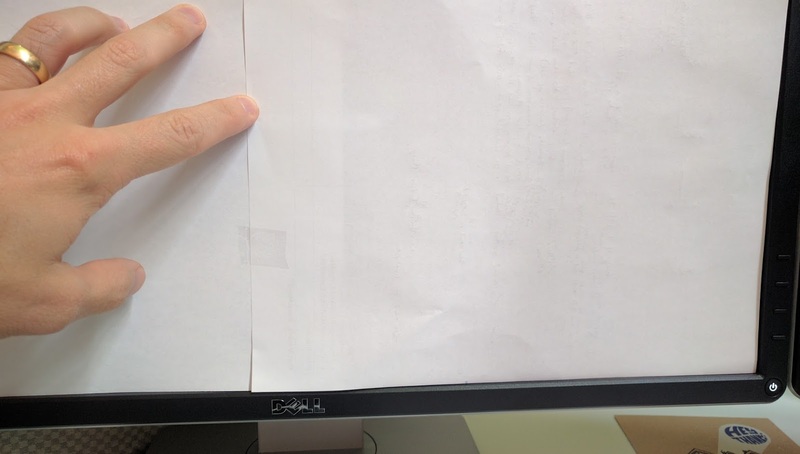 I started by taping several pieces of paper to cover the entire screen-area on my monitor. 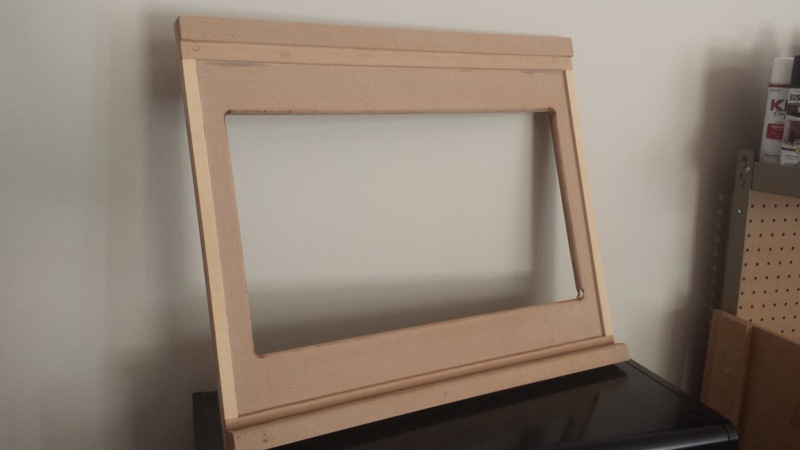 This gave me a template to cut the hole for the monitor in the MDF (below isn't my actual monitor, but it shows the general idea of what I did). 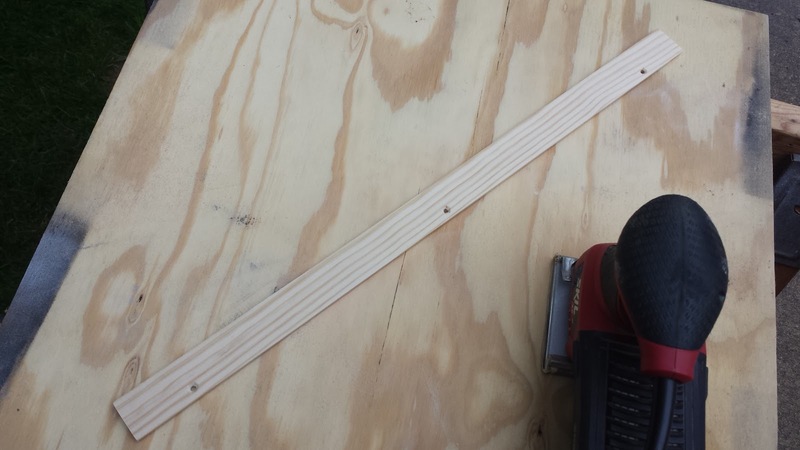 After cutting the hole, I used my router to put a nice, rounded bevel on the cutout. 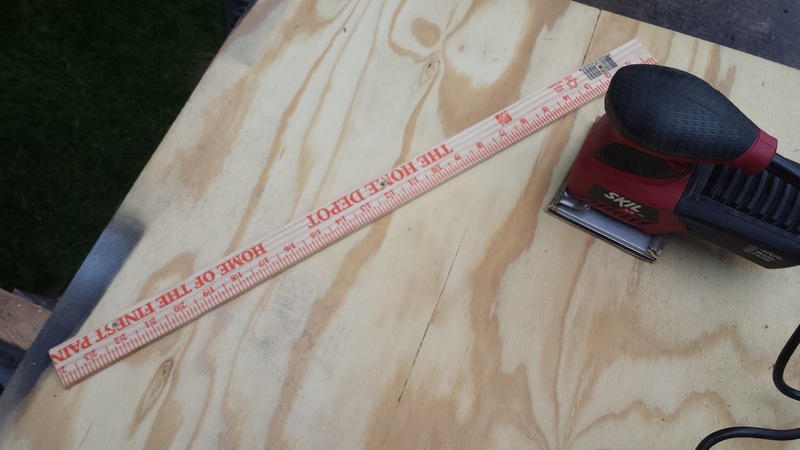 For the top edge, I attached a strip of 1/2" MDF. 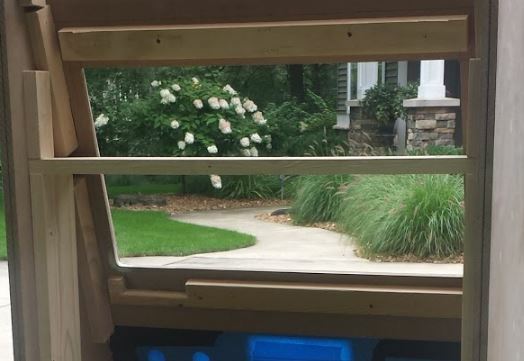 I previously routed 1/4" off the area where the glass would rest. For the bottom, I have a similar 1/2" MDF strip routed to 1/4" for the glass to rest in. I also added an additional trim piece which matches the bottom trim piece on the admin panel. 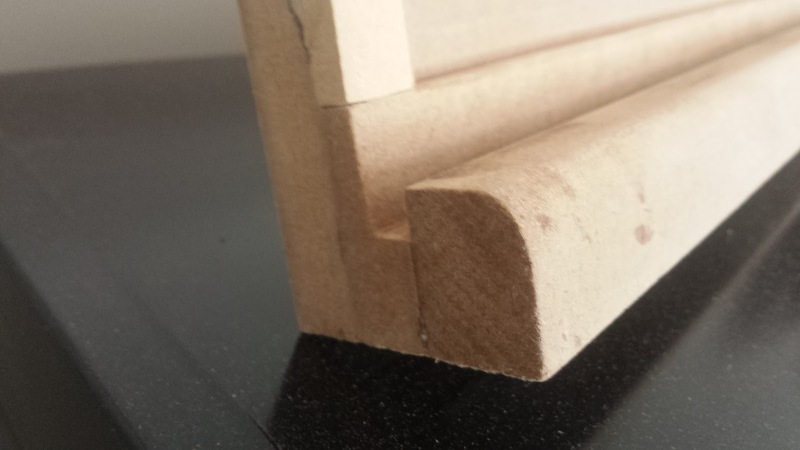 This trim piece also serves to create a slot for the monitor glass to rest in. On both sides, I glued a 1/4" thick strip of MDF, so the glass can rest securely on all 4 edges. On the back, I attached two pieces of scrap wood that help to position the monitor. I drilled holes in these strips, and inserted some EZ-Loks which will hold plastic hangar straps to keep the monitor in place. To keep the monitor glass secured, I used a cheap wooden ruler. I sanded all of the markings and indentations off with my power sander. Then I drilled & countersunk 3 holes to secure it to the cabinet. To compensate for the angle of the speaker panel above the screen, I filed the back-top edge off from the strip so it could rest snugly against the speaker panel above it. When everything fit the way I wanted, I painted it black to match the rest of the cabinet. On the screen cutout, I drilled holes matching those of the wooden retainer strip I just created. EZ-Loks and machine screws hold it in place. Harry Dresden does "Oceans Eleven". Good book, but felt like a distraction from the main story arch. A good recovery from "Ghost Story", which seemed like a big fat dud to me. Although, unfortunately, I suppose we're stuck hearing a lot more about lame fairies for the rest of the series now. The whole premise of this book kind of seemed like a bad writing experiment. Hopefully the series can get back on track like the previous books. A bunch of short stories that start out pretty lame and get progressively better. Was hoping that the last story that takes place after Changes would give some sort of insight into the ending of that book. It didn't.